Hello and Welcome to our preview for Adelaide Strikers vs Sydney Thunder match. We are covering ADS vs SDT Dream11 Team Prediction, Preview and Probable Playing XI for the Big Bash League 2018-19 match. The match is to be played at Sydney Showground Stadium. Adelaide Strikers are second on points table with four wins and three losses. They won their last match against Melbourne Stars by 41 runs. Batting first, Travis Head and Colin Ingram played good knocks of 43 and 57 respectively after the openers failed to score and were supported by a late cameo of 32 runs in 14 balls from Jon Wells to give a target of 179 to Stars. Ben Laughlin was clinical in the defense taking three-wicket haul while Wes Agar, Liam O’Connor and M Neser took two wickets each to successfully defend the target. They will hope to continue the winning momentum ahead in the season. Sydney Thunder is sixth on the points table with three wins and four losses. They lost their last match to Brisbane Heat by 15 runs as per DLS Method. Jono Cook and Fawad Ahmed starred with the bowl taking three and two wickets respectively to restrict Heat at 186. Chasing the target, They lost two early wickets and had scored 34 runs in 5.3 overs when unluckily rain gods struck leading to DLS result in favor of Brisbane Heat. With tournament halfway, They will hope to improve their standing in points table before it gets too late. ADS vs SDT, 28th Match, Big Bash League 2018-19. Colin Ingram (c), Rashid Khan, Jake Lehmann, Michael Neser, Matthew Short, Cameron Valente, Jake Weatherald, Jon Wells, Billy Stanlake, Liam O’Connor, Ben Laughlin, Travis Head, Harry Nielsen (wk). Shane Watson (c), Fawad Ahmed, Jason Sangha, Callum Ferguson, Chris Green, Jono Cook, Sam Rainbird, Daniel Sams, Gurinder Sandhu, Arjun Nair, Anton Devcich, Jay Lenton (wk), Chris Jordan. They have announced 13-player squad for the match. Billy Stanlake is back in the squad replacing Wes Agar and will directly come in the playing XI. M Short/Travis Head and Jake Weatherald can open the innings. Colin Ingram, Jon Wells and Harry Nielsen will follow them. M Neser and Rashid will play the role of an allrounder. M Neser, B Stanlake and Ben Laughlin will spearhead the pace attack while Rashid Khan and Liam O’Connor will be the key spinners. Travis Head and Colin Ingram can support them. There is an outside chance of Jake Lehmann replacing Matthew Short in the playing XI. Short has failed to perform after a good performance in the second match and is also not getting to bowl. In such case, Head can be promoted to opening slot and Lehmann can bat in middle order. They have announced 13-men squad for the match. Anton Devcich, Chris Jordan and Jay Lenton are added to the squad replacing Joe Root, Jos Buttler and Nathan McAndrew. Jos Buttler and Root have gone back to England due to ECB duties and Anton Devcich and Jordan will replace them directly in the playing XI. 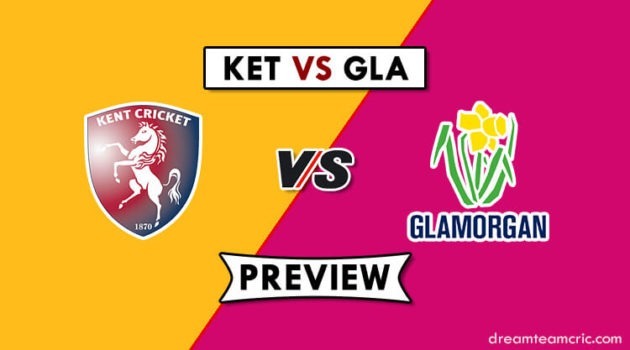 Jay Lenton will also come in the playing XI as wicket-keeper replacing Sam Rainbird. Shane Watson and Anton Devcich can open the innings. Callum Ferguson, Jason Sangha and Jay Lenton will follow them. Daniel Sams, Chris Jordan and Chris Green will do the late hitting for them. Daniel Sams, Chris Jordan and Gurinder Sandhu will lead the pace attack while C Green, J Cook and Fawad Ahmed will be the key spinners. Matthew Short/Jake Lehmann, Jake Weatherald, Travis Head (c), Colin Ingram, Jon Wells, Harry Nielsen (wk), Michael Neser, Rashid Khan, Ben Laughlin, Billy Stanlake, Liam O’Connor. Shane Watson (c), Anton Devcich, Callum Ferguson, Jason Sangha, Jay Lenton (wk), Daniel Sams, Chris Jordan, Chris Green, J Cook, Gurinder Sandhu/Sam Rainbird, Fawad Ahmed. Captain and Vc choices: Travis Head, Rashid Khan, J Weatherald, C Ingram, S Watson, C Ferguson, D Sams. 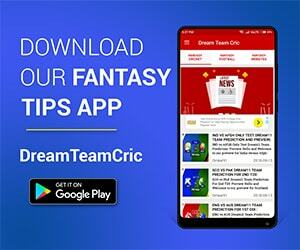 If you liked ADS vs SDT Dream11 team prediction, then follow us on Twitter for Latest Cricket News and Grand League Teams.